Dillon Gage provides fulfillment services through our wholly-owned and independently-operated subsidiary International Depository Services. IDS of Texas, IDS of Delaware and IDS of Canada are uniquely qualified to assist clients with the distribution of their assets throughout North America and the world. Both facilities utilize advanced, proprietary technology and logistics to precisely execute the distribution needs of their clients. 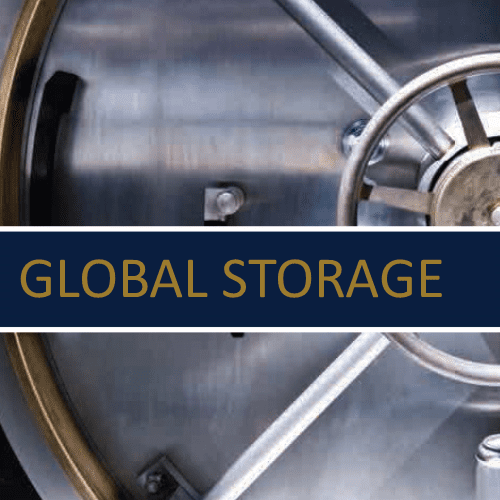 IDS saves clients’ time, resources and money by alleviating the need to maintain a vault, hire staff, and acquire costly insurance. Often clients purchase from other dealers who already store inventory at IDS, thereby alleviating the need to tie up capital. Call now to find out how we might help you streamline your business so you can focus more time on your customers. Client service associates are available at 888-322-6150 from 8am – 5pm Eastern, Monday through Friday.